Yoyo ceramics - Is that plastic? The first time I set eyes on this range from Yoyo ceramics I instantly fell in love, especially with the mint green version. What's not to love? 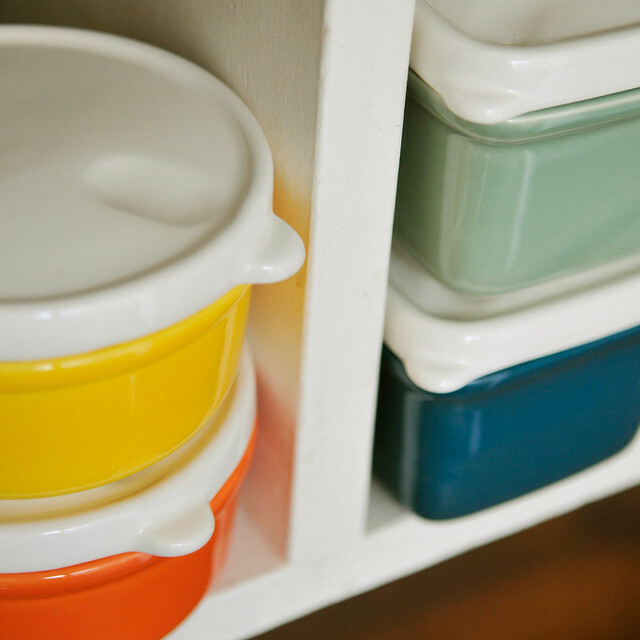 The gorgeous colours, retro style and they look like plastic containers. They're so adorable and such a clever idea. 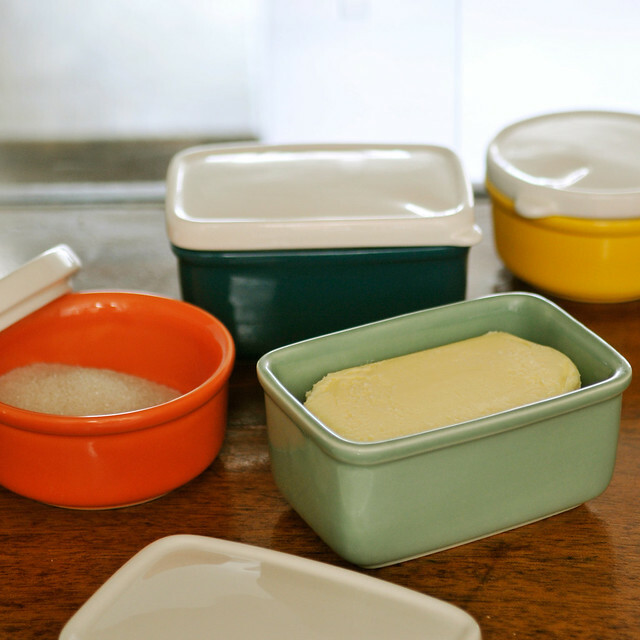 I'll have to add this to a growing list of things I want, a mint green butter dish. I probably wouldn't use it for butter though, I have lots of little things that need to be tidied away. Could even stash my jewellery in it.